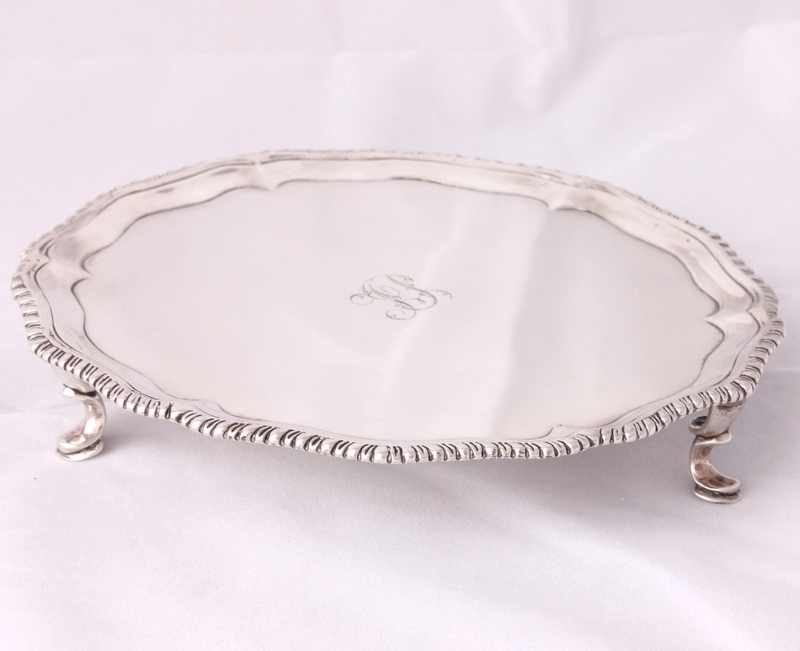 This very fine George III sterling silver salver by the skillful 18th century silversmith Richard Rugg dates from 1773, has gadrooned borders and is on three hoofed supports. 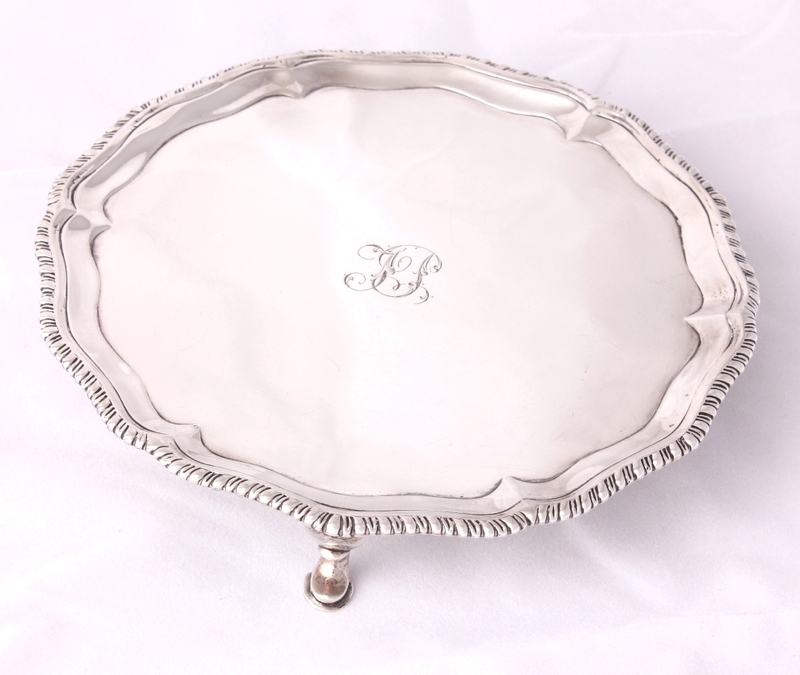 This sweet salver which is of high quality is engraved with a central monogram and is a lovely size at just a little under 7" in diameter. 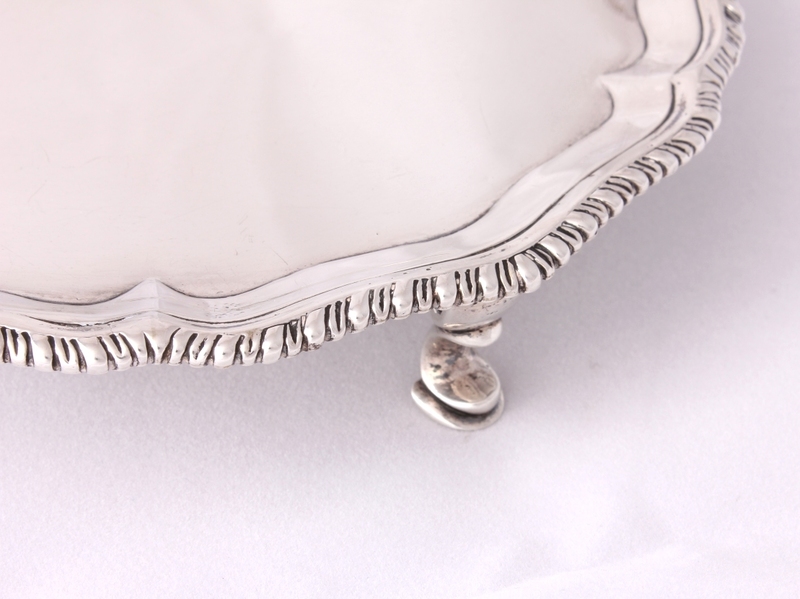 A wonderful and rare item of Georgian silver that looks stunning on display. 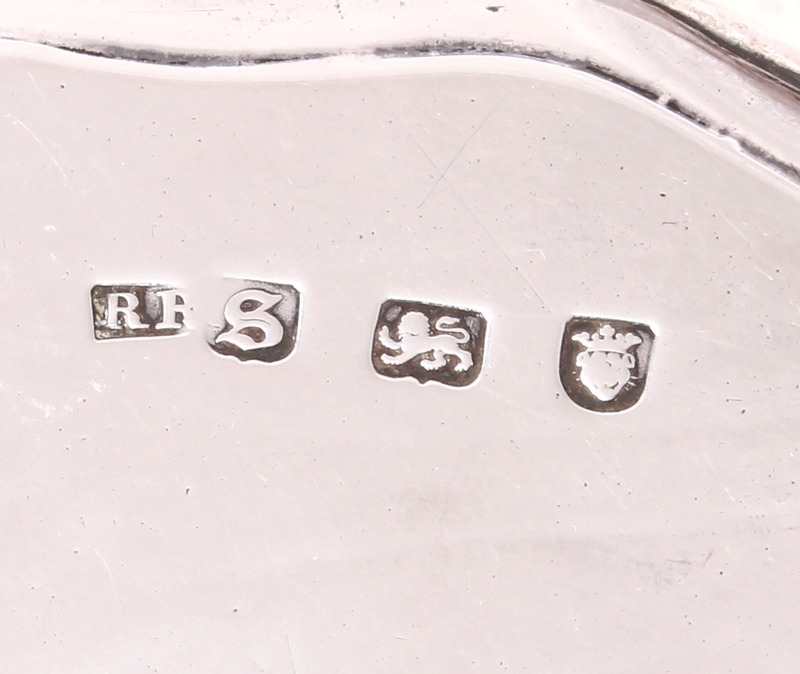 Hallmark: Lion for Sterling silver. Leopard Head for London. 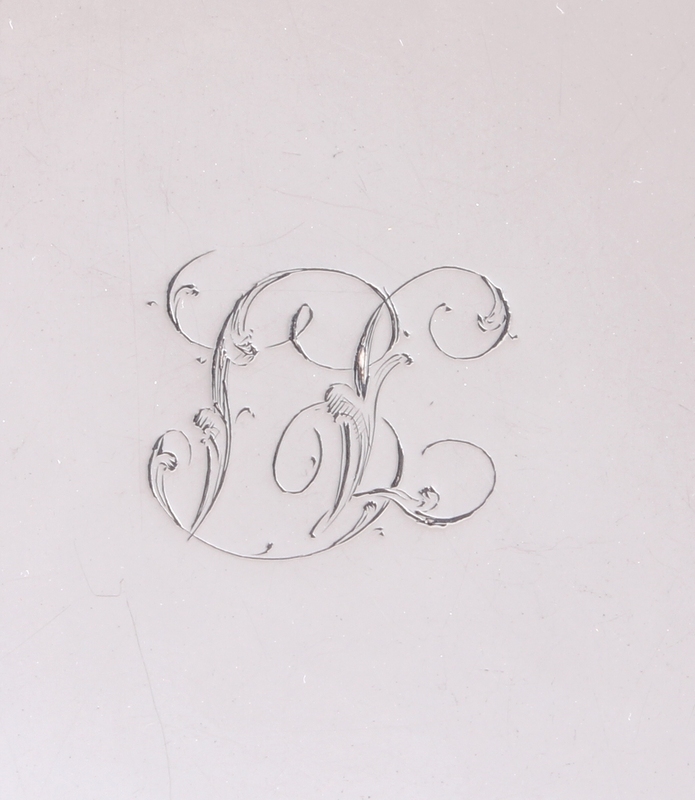 Date letter S for 1773. Makers mark RR for Richard Rugg. 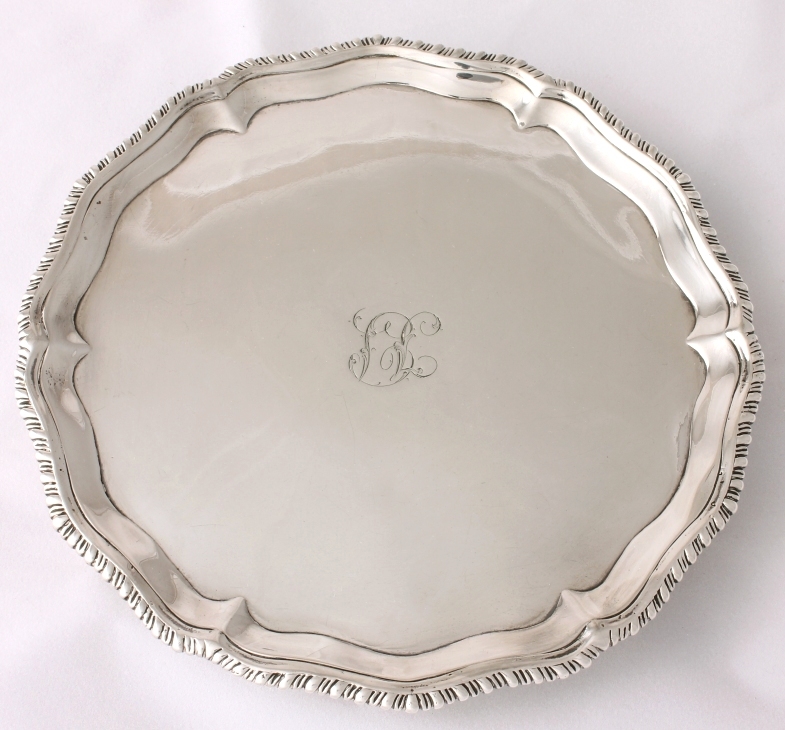 Size: 17.5 cm - 7" diameter. 2.8 cm - 1 1/8" high. Approx. Condition: Very good used antique condition with some light marks and very light scratches. A few pinhead size very small dings. No damage, breaks or splits. Legs are very slightly out of shape but the tray sits nicely level. Allow 2 - 3 working days for delivery. Express delivery can be arranged.